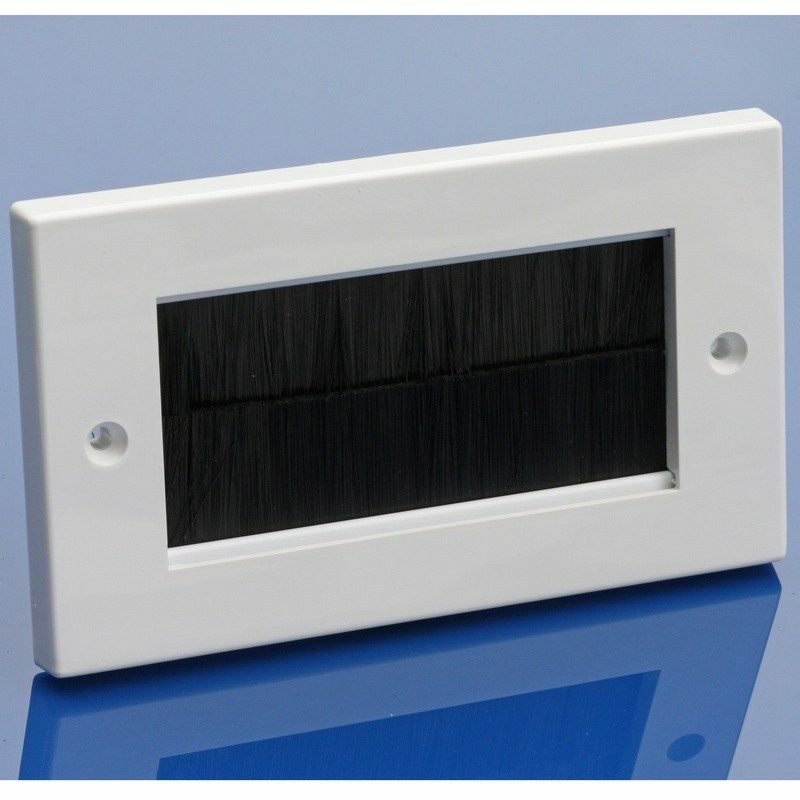 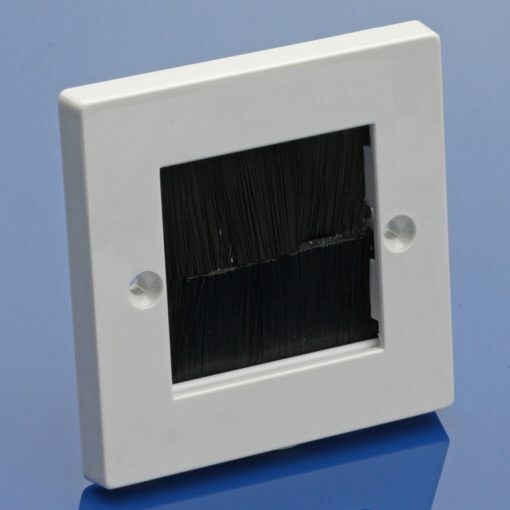 Double gang brush strip – white faceplate with BLACK brush strip designed for exiting cables through the wall with a professional finish. 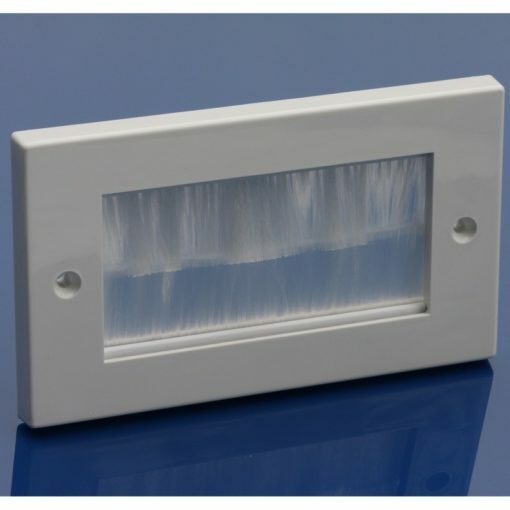 The central brush strip area has dimensions of 100mm wide x 47mm high. 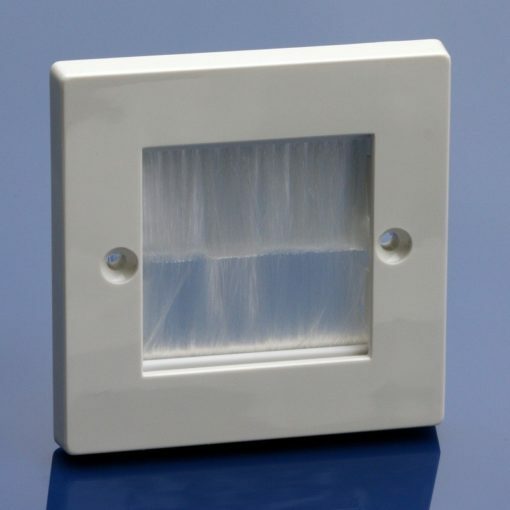 There is plenty of space for several cables and connectors to pass through, such as DVI, HDMI, Scart, power cables, etc.